Kid Quest is a child related WordPress theme that is especially designed for a kindergarten, primary school, playground, kids party planner or a preschool to present their child care services, you can use it even for a storybook presentation. Kid Quest comes with the clean and minimalist design, a bunch of built in page layouts, playful icons, specific niche related layouts, an easy one click install system, and a powerful visual page builder to edit and modify pages. And also, Built-in unique features include great colour choices, a vivid background, a bunch of excellent options in the back-end – all these pre-defined layouts make Kid Quest a unique template for your beautiful kid-oriented website for children activities. The backbone on which this template was crafted – The Core, comes with some pretty cool built-in sliders and 2 premium options: Layer & Revolution Sliders. 5 predefined matching colors in the color palette. 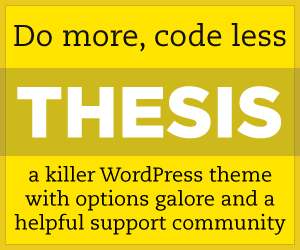 Each of these colors can be changed with ease directly from the WP admin. Our visual builder is a great solution for all those that need to create stunning pages and don’t have any coding skills. you can create website backups automatically. You just turn the backup option on, and you have nothing to worry about going forward. It is harmony with WMPL multilingual plugin that will help you easily translate your website in multiple languages. SEO friendliness and usability. We have crafted it with all the necessary elements to give you a good start in ranking well in search engines.